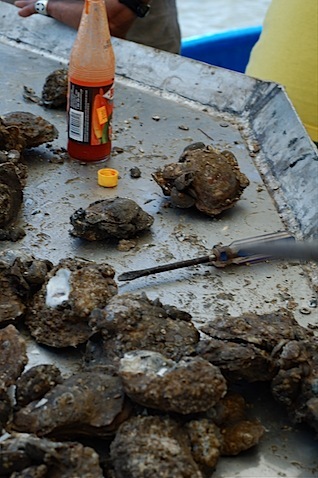 If you’re here during the winter and if someone you know owns an oyster boat, be sure to pack a bottle of hot sauce and an oyster knife. A screwdriver from the engine room works almost as well. Otherwise, head to Casamento’s during the R months — like any proper oyster house they’re closed during the summer — or squeeze in with the tourists at Acme in the French Quarter. 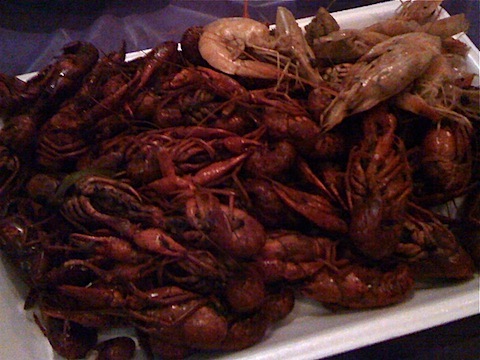 If you’re here in the springtime, ask for wild crawfish from the Atchafalaya Basin. (Resist calling them crayfish or mudbugs, please.) At other times of the year, try to track down ones raised in the rice country surrounding nearby Lafayette. They’re on menus everywhere, but perhaps the best way to find some good crawfish boil is to take the St. Charles Avenue Streetcar all the way uptown to Audubon Park on the weekend. Make friends with one of the families gathered for a reunion or birthday (or at least, get to know the people tending the 60 gallon pots). A few neighborly words and a request for their recipe will nearly always garner you a pile of crawfish. Head to the shade of a nearby tree and feast away. 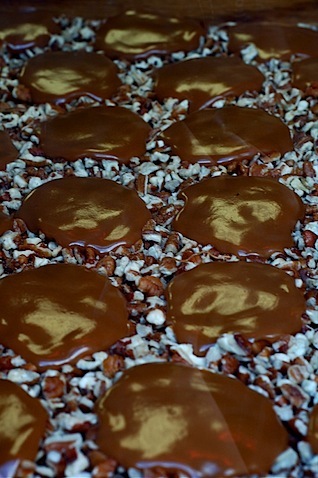 There are many sources for pralines, a classic New Orleans sweet. My favorite version, heavy on the pecans, comes from Southern Candymakers at 334 Decatur Street (and Iberville) in the French Quarter. After seeing their cheerful trucks parked along Dauphine Street, I started hunting for Hubig’s pies. It wasn’t hard. The little fried treats are everywhere in New Orleans. Look for a corner store or grocery store, and you’ll soon be in front of a tempting selection. I’ve managed to try apple, coconut, and lemon, and love all three. Blackberry, strawberry, blueberry, cherry, peach, pineapple, and chocolate are still on my list. 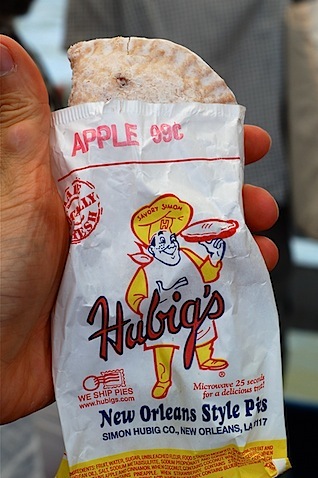 With a 7-day expiration date printed on each bag, Hubig’s little pies aren’t sold anywhere else. 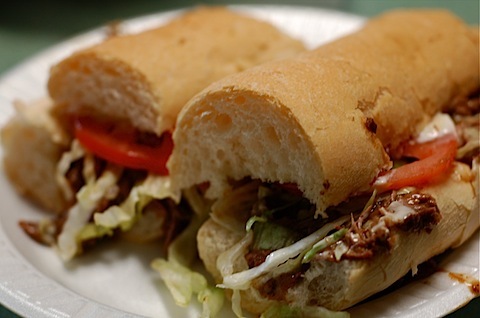 Along with rice and vegetables, Prairie Arcadians raised cattle, and to those early ranchers we owe the loveliness of spoon-tender grillades and another NOLA classic, roast beef po’boys. One of the best is served up at a local bar, Parasol’s at 2533 Constance Street (and Third). Walk past the bar, stopping to order a cold beer or an iced tea (don’t even bother asking for sweet tea), and then head to the window in the back room where you can order one of these messy sandwiches. Also on the menu are the typical fried treats: oysters, boudin balls and â€œdickles,â€ sour-salty dill slices encased in a crisp coating. 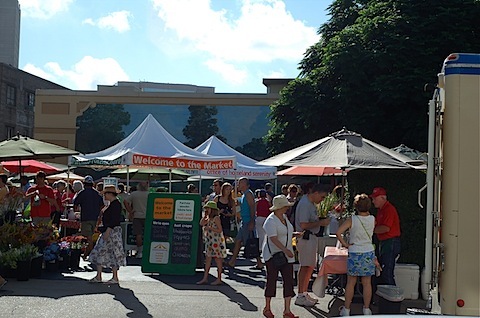 Be sure to save time on Saturday morning for Market Umbrella’s farmers’ market at the intersection of Magazine and Girod. Just to the right of the Magazine Street entrance, Smith Creamery parks their refrigerated truck and lines up their coolers. Stop for a bit of their Creole cream cheese, an ivory-tinted mixture of cultured skim milk and pure cream. Its slightly tart, very rich flavor is the base of local cheesecakes, dips and sauces. Most folks I ask, though, admit to just eating it with a spoon. 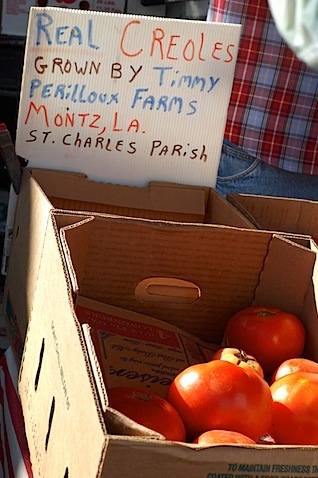 While at the market, buy some Creole tomatoes. Dense, smooth flesh and a deep, rich, sweet flavor with just the right amount of acidity make them essential for the Cajun and Creole cooking. You can’t get them anywhere else, as their flavor comes from the soil of Plaquemines and they bruise too easily for shipping. After meals of roux-based sauces, fried foods galore, and more cocktails than I should admit, slicing these luscious tomatoes, sprinkling them with a hint of salt, and enjoying them as a refreshing mid-afternoon salad is at the top of my list for local flavors. 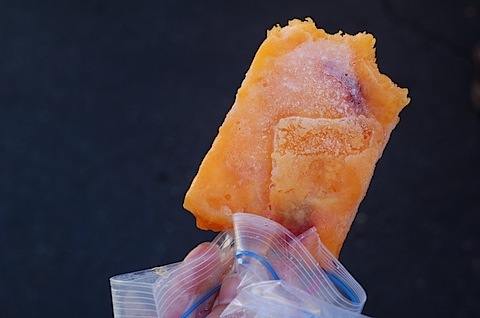 As you’re strolling the market and wilting under the mid-morning sun, look for an inconspicuous, hand-lettered sign offering â€œAmanda’s fresh fruit juices and frozen fruit bars.â€ An icy cold peach popsicle or a gorgeously red strawberry popsicle or, for those who have enjoyed avocado shakes at Vietnamese restaurants, the avocado and cream popsicle are all must-tries. 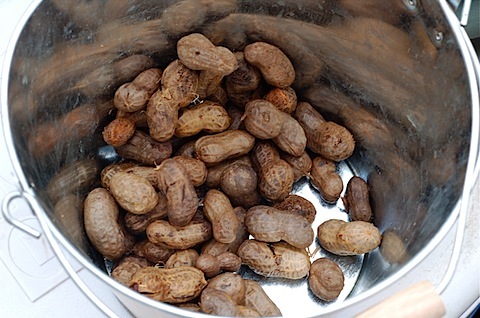 As you head out, don’t forget to stop by Melvin’s corner table for some of his crazy-yummy boiled peanuts. Left in the ground an extra year, they become super plump and flavorful. Boiled in a spicy mix and scooped up warm, they are addictive beyond reason. Liz Williams, director of the excellent Southern Food and Beverage Museum, received frantic emails from post-Katrina exiles scattered across the country: â€œI can’t find red drink. And they don’t even know what it is around here!â€ Back in New Orleans, though, they can order it confidently. 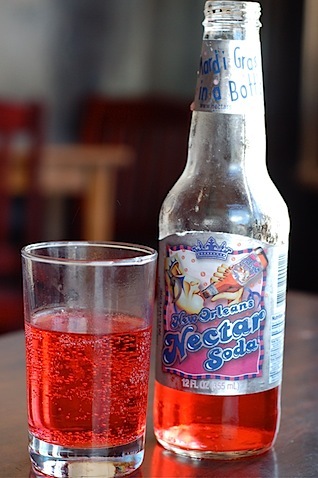 Also known as nectar soda, this slightly fizzy, slightly sweet, and very red drink will convert even those who swear they never sip sodas. A big icy snowball drizzled in syrup is another way to cool down. 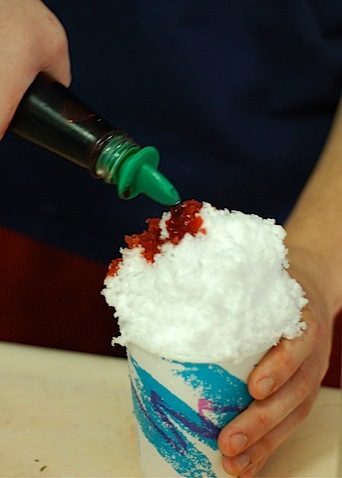 The best, judging by the one-hour line I joined on a hot Sunday afternoon, is shaved up at Hansen’s Sno-Bliz. Sweet-smiling Ashley Hansen has taken over the reins from her grandparents, who invented their shop’s machine that shaves extra fluffy snow from large blocks of ice. They make their own syrup and store it in an old Frigidaire in the back of their shop on 4801 Tchoupitoulas Street (at Bordeaux). Wild cherry, strawberry, lemonade, chocolate cream, coffee, almond, spearmint, bubblegum, and many many more — it’s a long list that you’ll have plenty of time to contemplate. Use your time in line to gather dining notes from those around you. Everyone in New Orleans can and will talk about food. 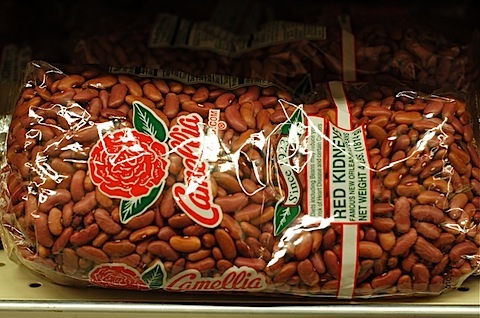 Before you leave town, be sure to stop at a grocery store. Breaux and Rouse’s are two local chains where you can stock up on supplies for recreating your favorite NOLA dishes and snag fun gifts for friends and families. Shrimp/crab/crawfish boil mix comes in little bags that are perfect for tucking into the corners of your suitcase. 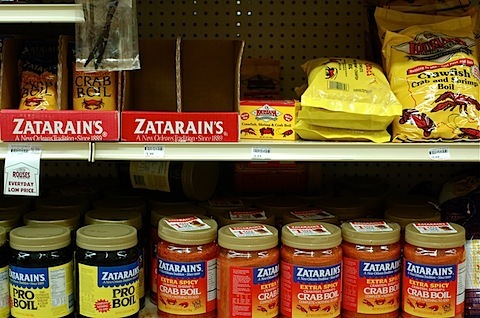 Zatarain’s is the old standby, but there are lots of other brands. Every cook has a favorite, and every cook adds other secret ingredients, so any of them will do you fine.